My first trail race. I couldn't have asked for better weather. It was freezing at the start (literally) but it warmed up nicely but stayed cool enough to not feel hot. The course was beautiful. I fell down once at mile 20. I ate m&m's at the aid station (twice). Saw Jenny and Sean K. out on the course, met Cathy B. before the start of the race and ran into a lot of nice people out on the course. Overall I kept a pretty even pace and had to fight to hang on towards the end. It was also nice to see Ash, who I ran with on my first Croom practice run, he was there volunteering today and was very encouraging each time I went past the starting area. I'm very pleased with the overall experience as well as my time which I knew could vary quite a bit. It helped a lot that Jenny encouraged me to think about some goals before the race. I also really enjoy the relaxed after the race hanging out, it feels like you are at a cook out with a bunch of good friends (even though you don't know everyone). The course consisted of an initial starter loop of just over two miles, followed by three big loops about 10 miles each. I had some time goals in mind but didn't have an exact pacing strategy. As the race continued on and I became more and more acquainted with the 10 mile loop, I began to get into a rhythm, speeding up and slowing down as the terrain permitted. Since it's a relatively small race there were a good number of stretches where I was alone in the woods. Sometime during the first loop I caught up to a guy, chatted with him a bit and then passed him. I was going to follow him at first but he pointed out that since I had caught up to him then I should keep going at the same pace. So, I went on ahead and stayed in front of him until I had to stop for a bathroom break then he went flying by me. Got going again and caught up to him as we went through the starting area again. I ditched the gloves and arm warmers then started on the second loop. During the second loop I was running behind the guy, Mike, who by this time had no shirt on (he started out with just a sleeveless shirt), so for the rest of the race until the results were up he would be known as that guy with no shirt on. He had picked up the pace and was pushing into sub 8:00 range so I backed off a bit. Still felt a little bit fast for me although it was hard to judge me speed. It feels faster when running in the woods with the trees around you, watching out for roots, and jumping over a log every now and then. About mile 20, I was going up a slight incline and my foot caught a root and I went down pretty hard. But fortunately, being on an incline I didn't fall very far and my hands landed on nothing sharp. After the initial shock, I realized I was fine and got back up again. That was my only fall. I think my landing reflexes were good due to all of the burpees I've been doing at Jenny's boot camp! At the start of the third loop, I topped off my bottles with accelerade from my drop bag. Ash (who is going to be doing a 100k next week) said to me, ok Mark, just one more lap, you did this same run just a few weeks ago. It was at a slower pace then but it still gave me some confidence to hear it. I was still feeling pretty good but knew things would change over the course of the next 10 miles. There were two aid stations on the course, one was at the starting area, and the other at the (about) halfway point on the course. When I was about a mile from the half way point aid station on the third loop. I saw Jenny and Sean who had started at 6:00. They looked pretty good and told me they doing a walk run strategy. After saying hi, picked the pace back up and made it to the aid station. Stopped for another handful of m&m's, which tasted really dry in my mouth this time. I had been drinking pretty good although could have done a better job early on in the race, but did not since it was so cold then. As the miles counted down, I started feeling good about staying on track and not falling apart, I had a glimmer of hope as I got to mile 27, but tried not too get too excited until mile 28. Some time after mile 29 I could see Mike up ahead (the guy with no shirt), even though I felt like I had been slowing he must have slowed down a bit more. As I got closer, he took off again and I thought I lost him. With about a half mile to go, on a section of trail going up hill and covered with roots, I saw Mike go down. I stopped and offered him my hand but he said he was ok and to go on ahead and said something like this just isn't my day. I felt bad for him that he had fallen. Got going again and before I knew it I was done. Got some food and waited for Jenny and Sean who soon came across the line looking surprisingly strong. Hung out for a bit more and had a beer before packing up and heading home. Great job, Mark! 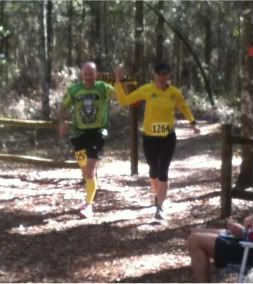 So glad to hear it went well - I think you did great, especially considering this was your first trail race! Whew! You make me tired. I don't know how you can run that fast and that long. Good job! Next the 100K. 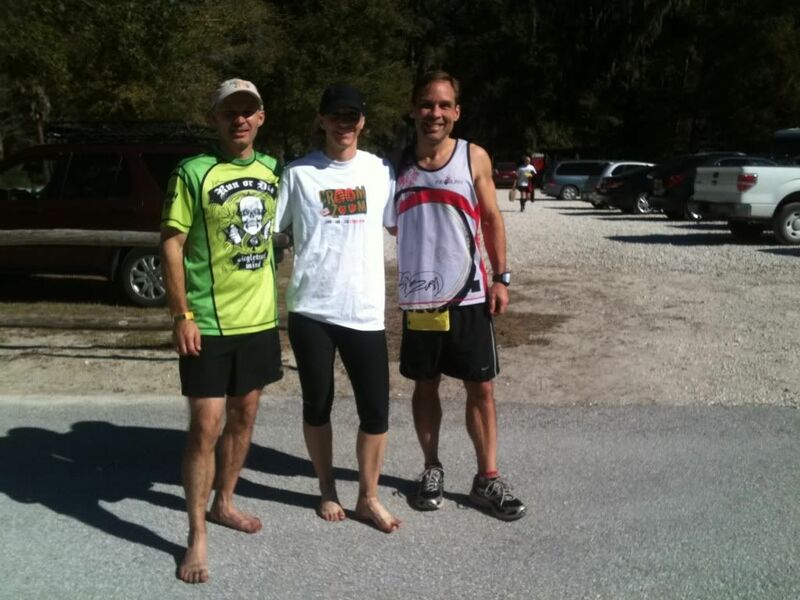 Congratulations on your first trail ultra (first Croom race) and your 3rd place overall! 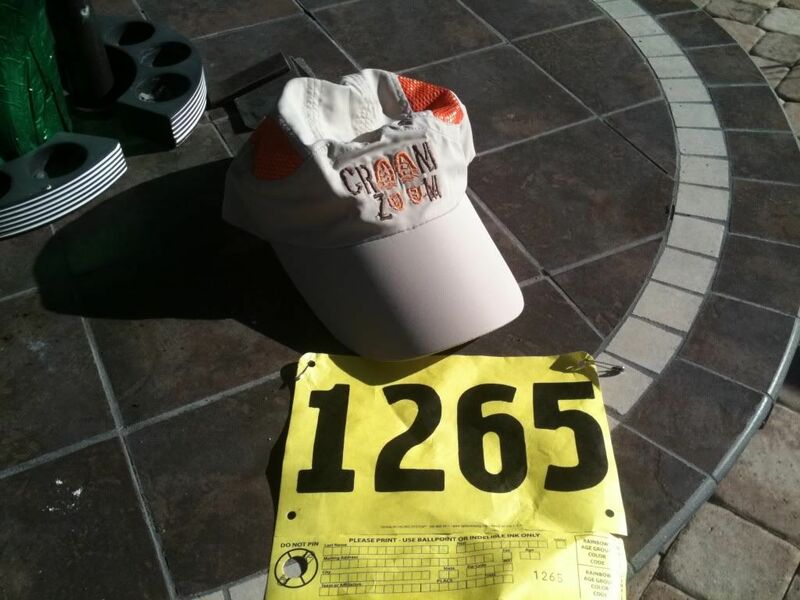 It's great to hear that your Croom race went well! Moreover, You was third overall on your first trail ultra: CONGRATS, Mark! Beautiful and detailed race report! Thanks everyone! It was definitely a day to remember. Yes, next the 100K, seeming more and more real each day now. Great effort Mark, congratulations! Trail ultras are the best! Thanks for the good wishes on my blog for my wedding.